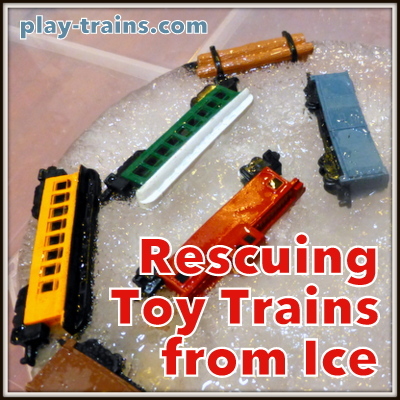 I can’t think of a better motivator for a little train lover to put on a thinking cap than to see a collection of toy trains, trapped in ice and in desperate need of rescue. 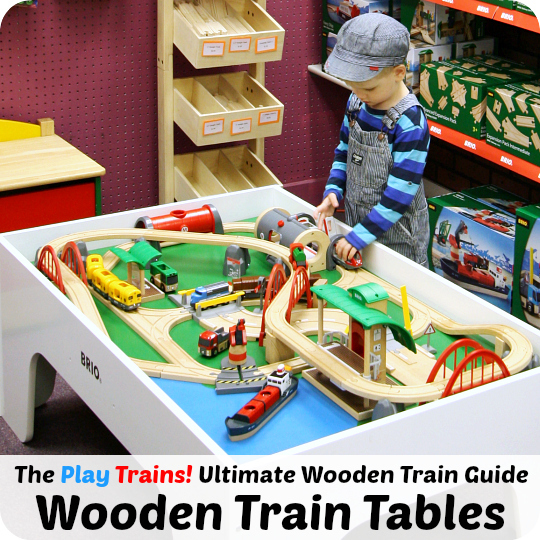 Especially if the toy trains are new, never-before-seen ones, like they were for the Little Engineer when we did this last summer. 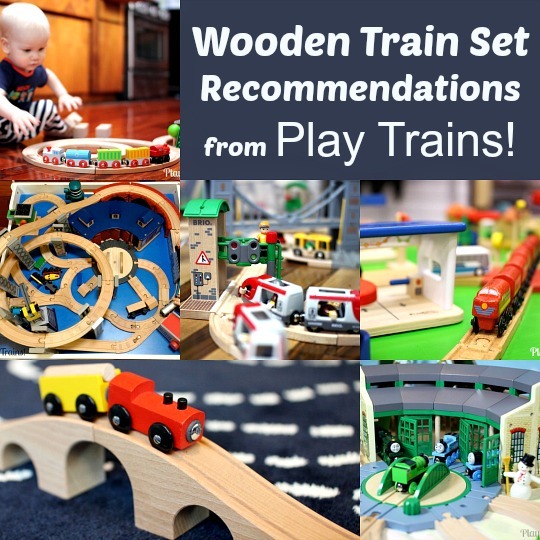 But I’d imagine any well-liked plastic or metal toys would be just as exciting. 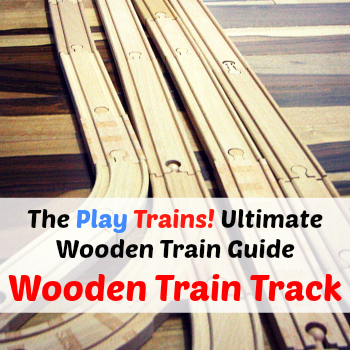 This was a fun activity, one that can be done indoors or outdoors, summer or winter. The best part was I could prepare it ahead of time and pull it out of the freezer on one of those long afternoons when we needed something to get us through to dinnertime. After seeing this idea online — and sadly I can’t quite figure out which blog I first encountered it on, but I’ll include some links to different versions of the activity below — I ordered a Safari Ltd. Steam Train Toob. 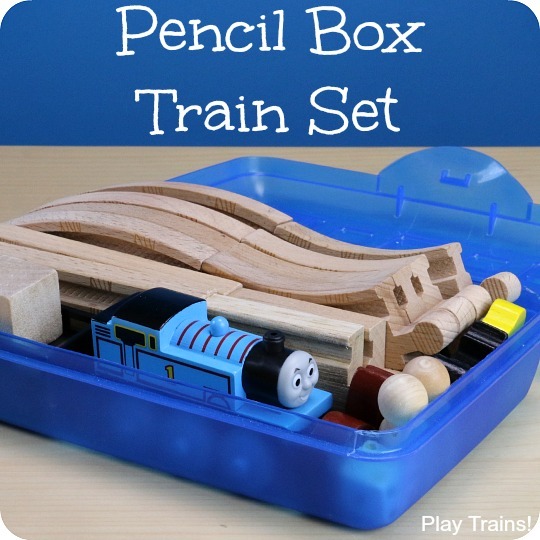 They also make one with a diesel engine and more modern freight cars, if that’s your engineer’s preference. 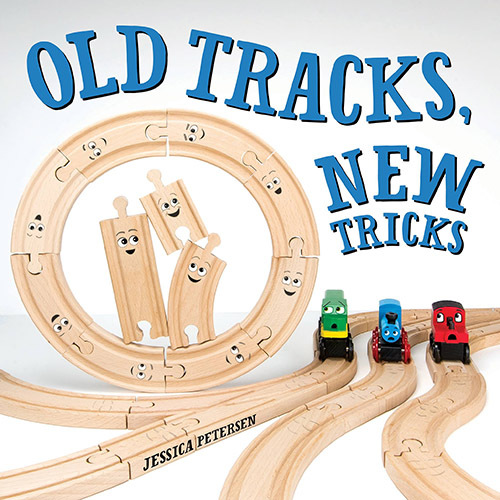 I didn’t just get them for the activity; I had another purpose for the cute little trains that I’ll write about soon. I put them in an eight-inch cake pan, filled it halfway with water, and stuck it in the freezer. A day or two later, the Little Engineer was getting a little too wiggly. So I popped the pan out of the freezer, ran some hot water over the bottom and sides to release the ice, and put the hunk of ice in an extra-large, shallow plastic storage bin I got to let us do more messy stuff indoors. This was a while back, and the Little Engineer was even littler than he is now. Also, he was already wiggly and unfocused. So I helped him problem solve quite a bit more than I would if we did this activity again today. He suggested water, so we tried cold water first. I led him toward the idea of trying warm water, which was visibly more effective. Then I got out some kosher salt and gave him some to sprinkle on the ice. 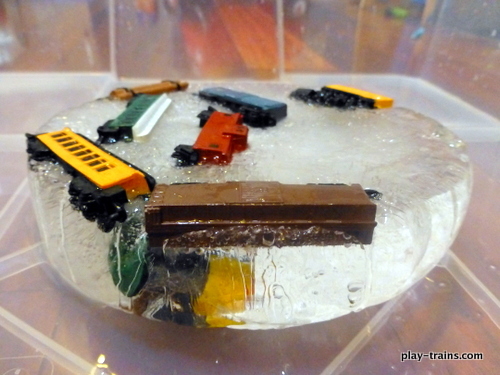 After watching the salt melt a rough texture across the top of the ice, the Little Engineer decided he preferred the water method, and asked me to pour the water on so it could be really hot. I obliged. He noticed that we could get individual cars out if we focused the stream of water on them, so he started directing me to rescue certain toys, which did get him toys to play with faster than if we’d been more general with our efforts. We also had a lot of fun sliding large chunks of ice around the storage bin. 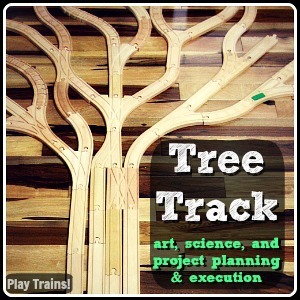 Here are a few other versions of this fun activity…hopefully one of them is the one that initially inspired me! A lot of them had a collection of tools ready for their kids to try. I’ll definitely be doing that when we repeat this activity. I just have to decide whether to do it now, to go with the cold outside, or in the summer again to cool off. 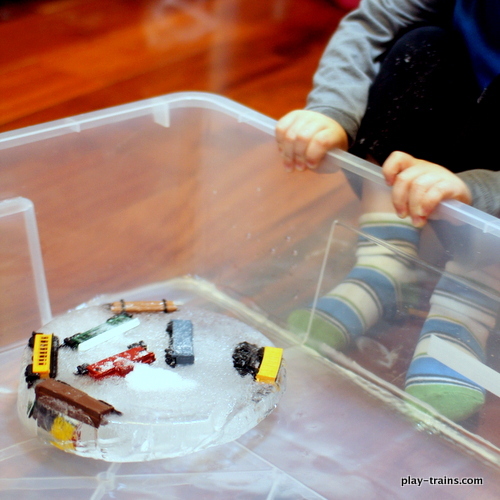 For more wintery train fun, check out our Seven Ideas for Bringing Snow into Train Play and our book review and train play ideas for Thomas Gets a Snowplow. I love this idea! We live in FL so when I do winter storytimes at the library, I have to get a little creative with making our own snow and ice for our programs. My storytime friends always love exploring shaved ice. 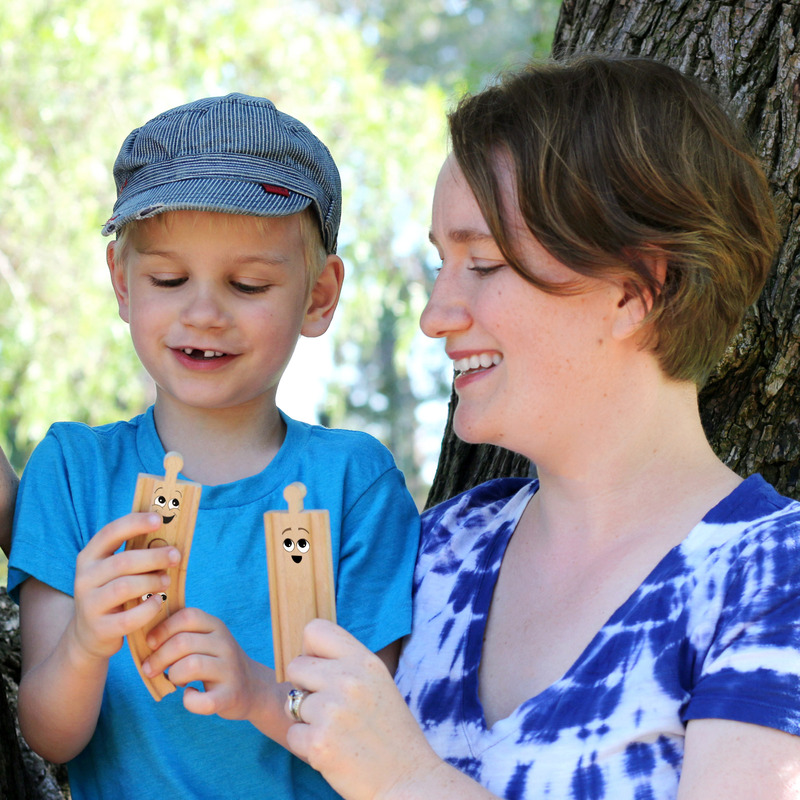 Your idea is a great problem-solving activity that I can share with our storytime families. Love it! Hope you will stop by again for another visit to my blog. I will be back to visit you again soon. Oh hi! Thanks for stopping by! I’m glad to hear you found something to use for storytime. That’s so great. 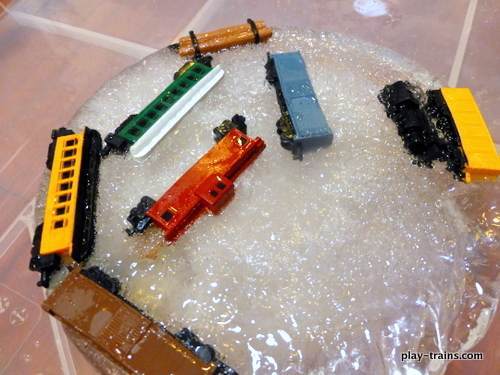 I also did a post about playing with snow and trains recently that might be of interest as well, if you didn’t already see it. 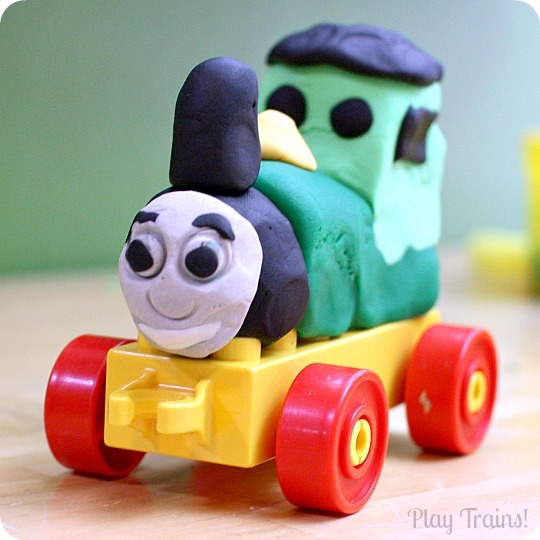 This idea is SO funny – it had me smiling so much as I read it, imagining my little boy trying to rescue his trains! Thanks for sharing! 🙂 It is funny! If I had really felt like motivating him, I could have put Thomas in there…but that would have been cruel. He doesn’t even like it when Thomas gets dirty on the TV show half the time. This is really a fun idea! I’ll but having your favorite toys trapped will motivate a little guy to figure out hw to rescue them! Thanks for linking to Share It Saturday. Thanks! He really enjoyed it. So much fun!! Thank you for sharing on Sharing Saturday! It’s a really fun activity, one of those that makes you really appreciate the internet for all the inspiration!